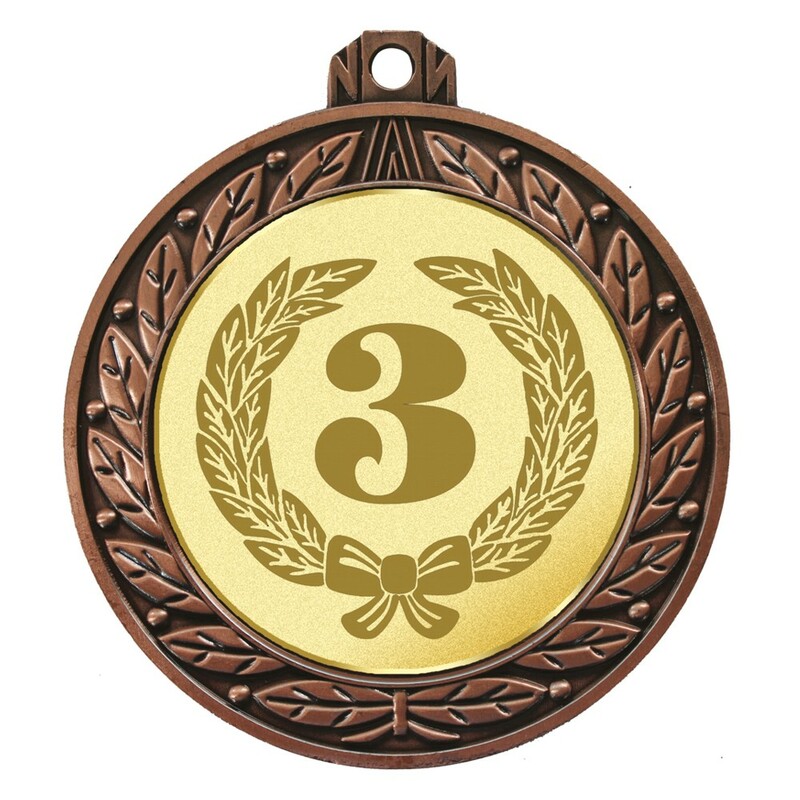 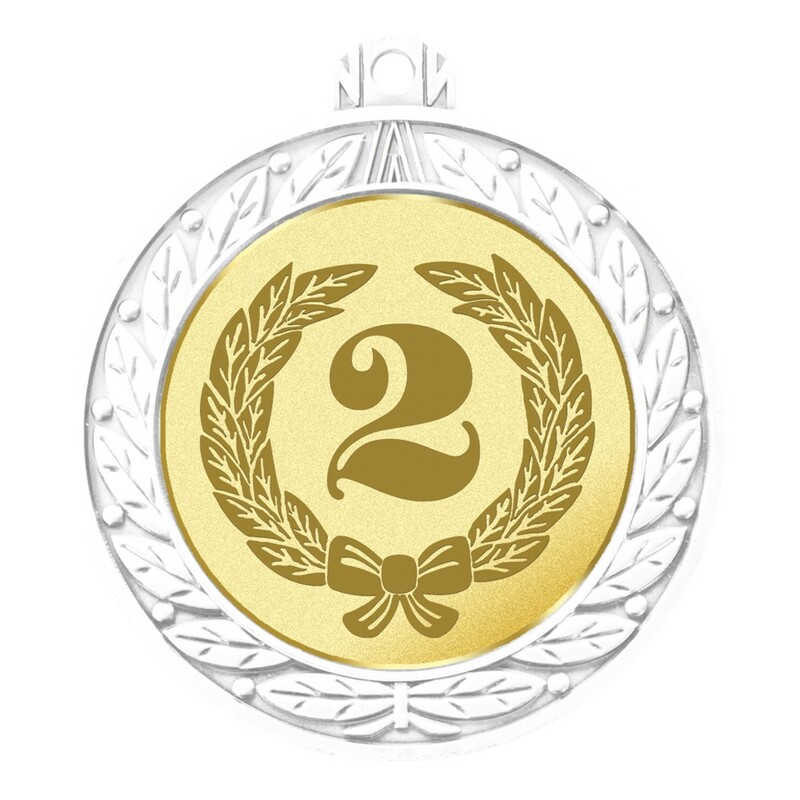 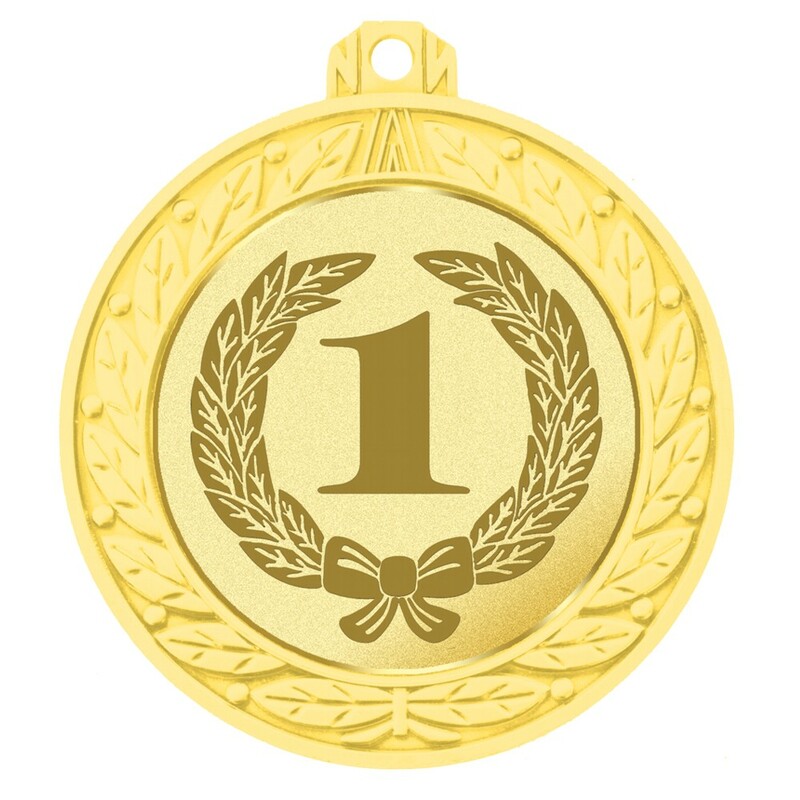 Large 70mm heavy metal medal available in Gold, Silver and Bronze. 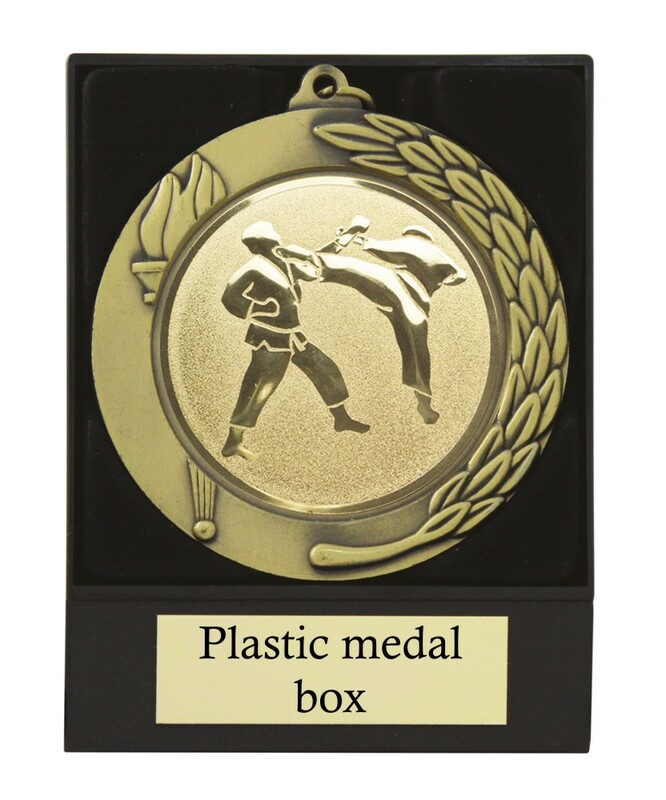 Complete with a black plastic medal box as standard with your engraved plate within the lid of the box. 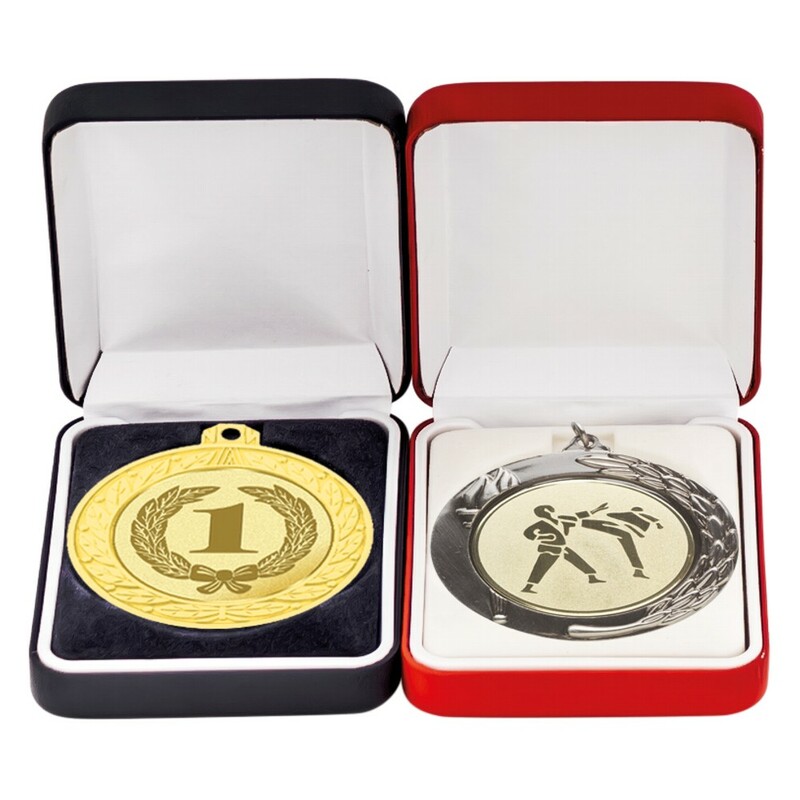 For an additional charge you can upgrade to a blue or red leather medal box.